When your dog vomits and laps it up again or your cat has diarrhea but seems fine you brush it off as a (gross) fluke. Nine times out of ten you’d be right because pets get sick too. When it starts becoming the norm though, it’s time to get your Sherlock on. 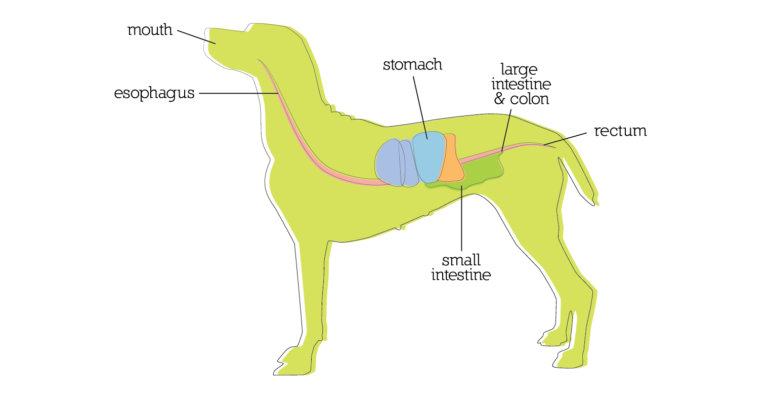 Your pet’s gastrointestinal (GI) system shares quite a few similarities with yours. The same organs are using identical pathways to transport food and break them down into usable energy. Just like you though, there’s seriously uncomfortable consequences (for everyone in the room) when your stomach rejects what you put in it. 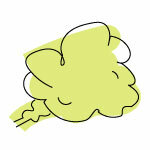 A gassy dog or cat is only funny the first toot. After that, you start to question whether you can sneak into another room without them noticing. A vomiting dog can simply be a result of him eating his food too quickly but if it persists, it may be a sign of a sensitive stomach. If your cat or dog has diarrhea or loose stool on an ongoing basis it could indicate a sensitive stomach. Learn more about what your pet’s poo is telling you here. You’ll want to differentiate between what could be a more serious underlying gastrointestinal issue and a sensitive stomach because symptoms like the above tend to overlap (thanks for making it easy, body). If you’re ever in doubt, take your pet to a veterinarian to be examined. Once you know your cat or dog’s digestive system is on the fritz because of a sensitive stomach you can focus on how to help him feel better. Your pet’s digestive woes could be caused by many things: a food intolerance, stress, poor life-decisions or a combination of these. What you should consider before anything else though is what you’re putting in his bowl. When examining what you feed your pets it’s important you know what constitutes a species-appropriate diet. Dogs are naturally scavenger carnivores (and cats’ true carnivores) so meat-based proteins like duck, beef, and chicken should be on the menu. A dog’s diet should consist mostly of meats and organ meats with small amounts of fruits and vegetables, and yes, even grains (they’re okay in moderation). 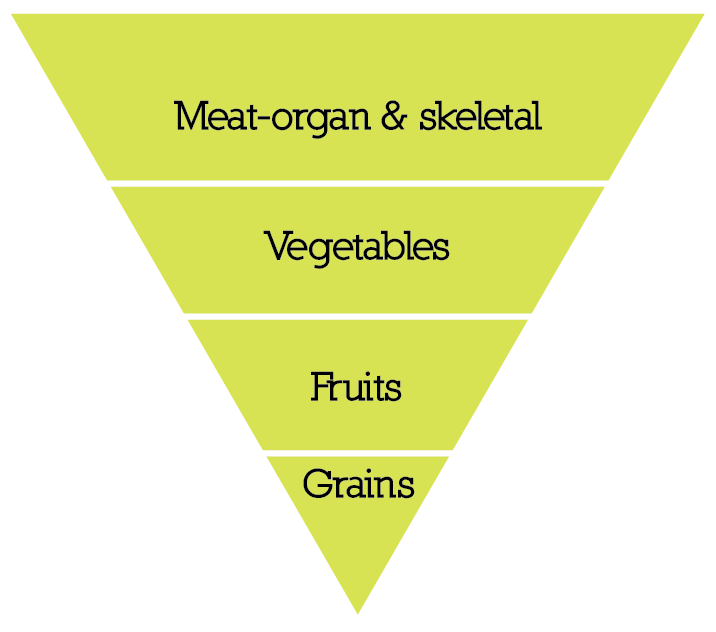 This food pyramid is a good reference when considering what’s right for your pup. As dogs and cats moved from the wild into our homes (and beds and anywhere else they want) their diet was changed. Mass-production of shelf-stable pet food provided an affordable, convenient option for pet owners but in order to make it inexpensive and convenient, compromises were made. Many pet food brands sell heavily-processed, heat extruded kibble that is depleted of necessary enzymes and sensitive phytonutrients. 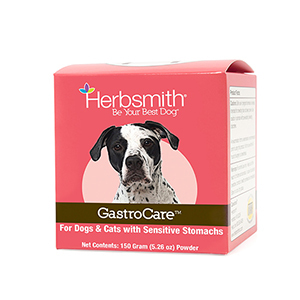 (Heat is good for a safe product, bad for heat-liable vitamins, minerals and enzymes that begin to break down at 115° F.) Digestive enzymes are a must in supporting your pet’s digestive system. Large molecules like proteins, fats, and starches need to be broken down and absorbed to be used effectively by the GI tract. (That’s what enzymes do!) Without them your pet misses out on key nutrients. Your pet may also miss out on key nutrients because their kibble diet is packed with fillers (think grains and in grain-free formulas, think starches). Yes, carbohydrates can be incorporated into your pet’s diet, but it becomes problematic when it’s the biggest food group in their food. Think of it in terms of what you eat day-to-day. If even half your plate was filled with mashed potatoes every meal (it sounds tasty, I know) you’d be skipping out on essential food groups and the nutrition you get from them. Lower-quality kibble can be viewed the same way. It prioritizes affordability and convenience but that means sacrificing nutrition. So, if you’re trading one low-end kibble for one that claims it’s “dry dog food for sensitive stomach” don’t be fooled into thinking that’s the solution. 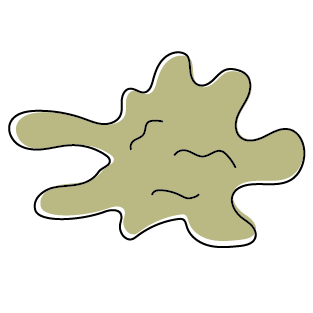 GI tract inflammation stays as long as the irritant does; which in this case is the low-grade kibble. Knowing that ongoing GI issues may be caused by diet, you can move onto how to alleviate symptoms and then focus on prevention going forward. Focusing on short-term solutions and long-term prevention will help your four-legged friend feel his best again. Consistent, ongoing GI issues like a sensitive stomach leaves your pet’s GI tract inflamed. The goal is to reduce inflammation, which will relieve symptoms and make your furry friend much happier (simple, right?). When it comes to alleviating symptoms of sensitive stomachs, herbal alternatives have an advantage over more traditional medicines. Your dog and cats’ stomachs are already tumultuous at best because of the inflammation and prescriptions can add to the chaos. 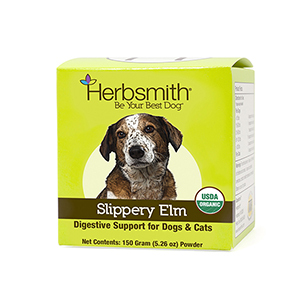 Herbal remedies are easier on your pet’s system and less likely to have adverse effects. Herbs have also been used for hundreds of years and are used currently by veterinarian practitioners, so you know it’s not some new fad or gimmick. Using herbs like ginger and mint prevents nausea and dissolves inflammation, and using licorice increases the flow of bile which improves digestion. Using these herbs and a few others, the GI tract begins to return to normal. Slippery Elm is also an all-star herb that should be given for sensitive stomachs because it acts as the first defense for the bowels, protecting them from further damage as they recover. And again, because these are all natural there’s no second guessing what you’re giving your furry friend. Lower the amount of carbs in your pet’s diet because it’s likely the reason for inflammation. If you’re feeding lower-grade kibble high in carbs, that’s really what’s wreaking havoc on your pet’s digestive system. Improving their diet will make a big difference for their digestive health and there are so many ways to do it. Add fresh meats, fruits, and veggies as a topper to a high-quality kibble. Cook your dog’s meals at home. Or, switch to a completely raw diet. There are so many benefits other than just getting away from a high-carb diet that promotes inflammatory responses. Other benefits of a species-appropriate diet include healthier skin and shinier coat, clean teeth, stronger immune system, and a healthier body weight. 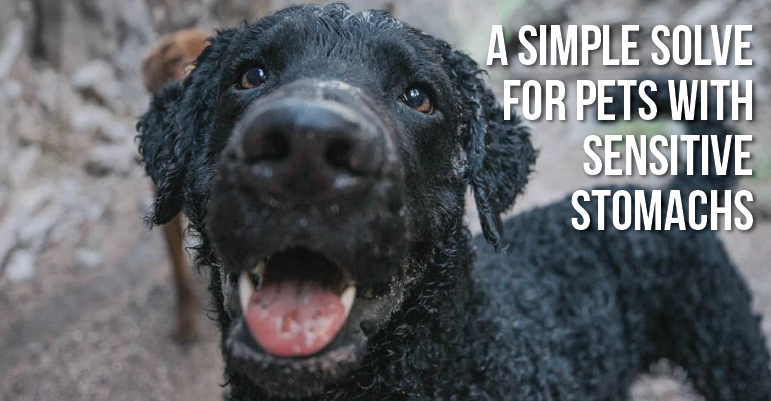 You want to help your furry friend (it’s why you’ve read this far), so take what you’ve learned and put it into practice because you may finally have the solve for him. Don’t be scared that it may be too complicated to create a balanced recipe or that it may take too much time to make. There are recipes with as little as 10 simple ingredients. You can always make meals in bulk and freeze for later which saves time and money. If you don’t have the means, time, or knowledge to home cook or feed raw, consider dehydrated products or freeze-dried dog foods like Dr. Bessent’s Simple Food Project. Freeze-drying retains 97% of the natural nutrients in foods and is still shelf-stable, so this option is ideal for your dog’s diet and for your busy schedule. 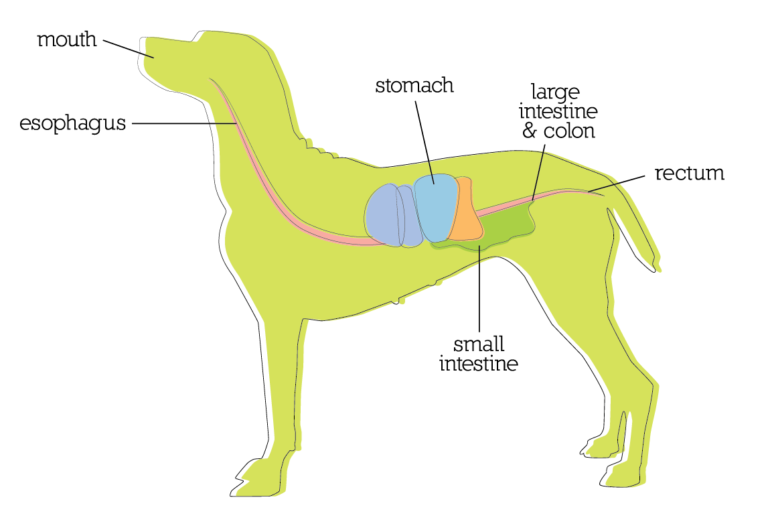 The solution to a sensitive stomach really can be as easy as what you put in your pup’s bowl.